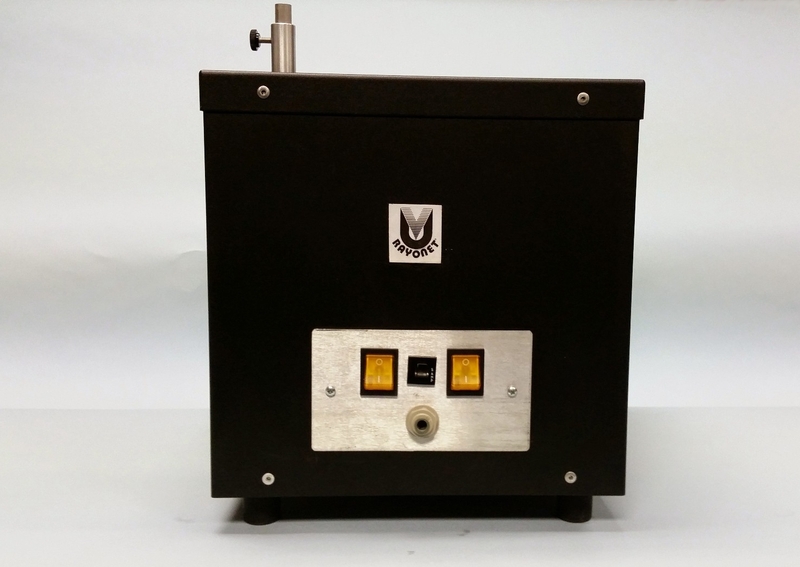 The RMR-600 model is a versatile, efficient, easy-to-use photochemical reactor. 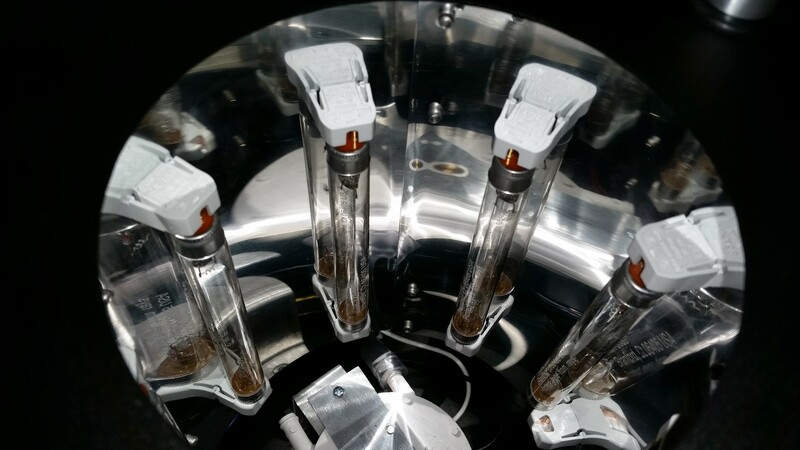 Ideal for applications where instrument simplicity and reliability are of prime importance, and cost effectiveness is a determining factor. This reactor makes a perfect teaching system; it comes complete in a "Ready to Use" package, with no assembly required. 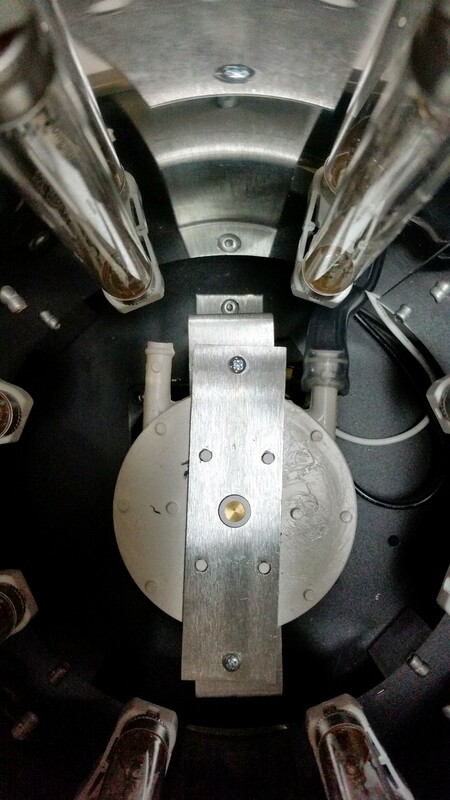 STANDARD EQUIPMENT: The "Mini" reactor is supplied with eight 2537 A° light sources, one 1/2" built-in support rod and a cooling fan. Normal operating temperature is 37°C. Low cost lamps provide long running life (approximately 3000 hours). The reactor's power consumption is about one amperes @ 110/1 20 volts, 50/60 Hz, A.C. Reactor will operate for overseas operation (220/240v power grid - please be sure to request this in the notes of your quote request). 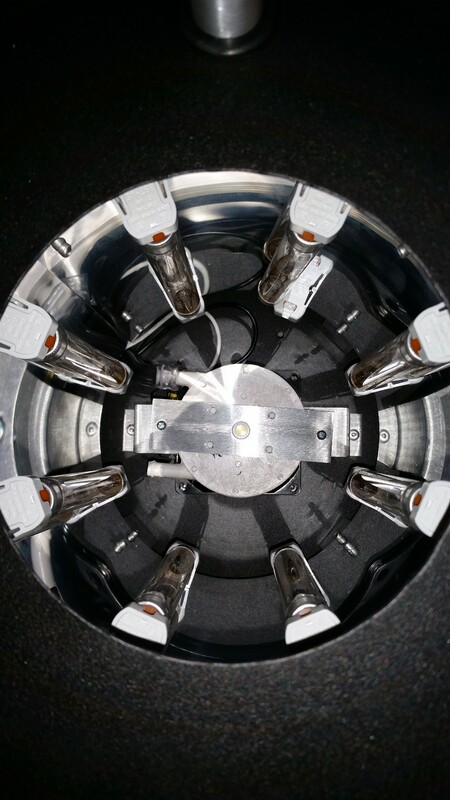 Simple to operate, the reactor is controlled by four lamp switches, located on the top panel. SPECIFICATIONS: The RMR-600 is 11" in square and 10.5" high. 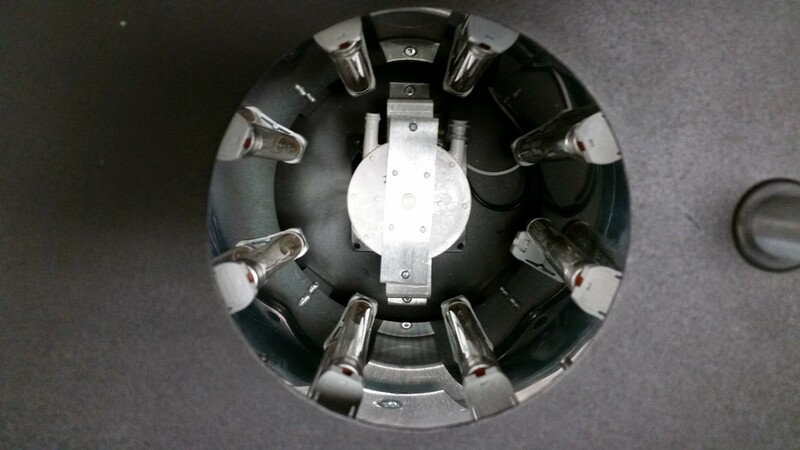 The chamber is manufactured from Alzak aluminum and is 9" deep x 7" diameter. 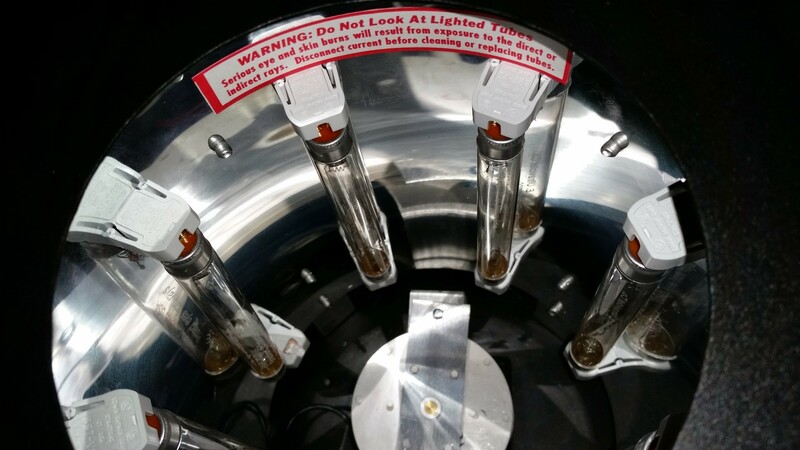 The reactor comes supplied with (8) 6 watt lamps, with an arc length of 3" each (32 lamp watts total). The top opening is 5" diameter; weight 10 lbs. Finished in durable baked enamel, with a one year guarantee. 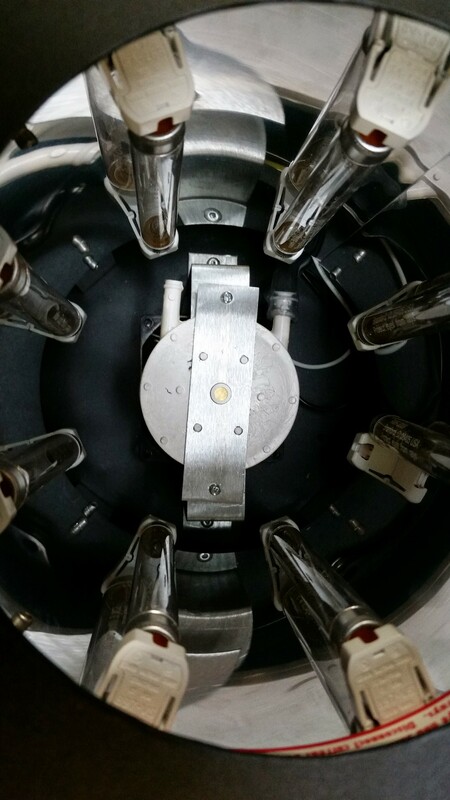 A photochemical system for the limited budget. High-performance, small size and low price makes it ideal for both undergraduate and graduate studies.